You want to create a BOM based on certain elements in a structure or certain selected elements. This video will show how to accomplish this. You can create a querie in Advance Steel of certain criteria in your structure based on your selected preference in the Search filter. 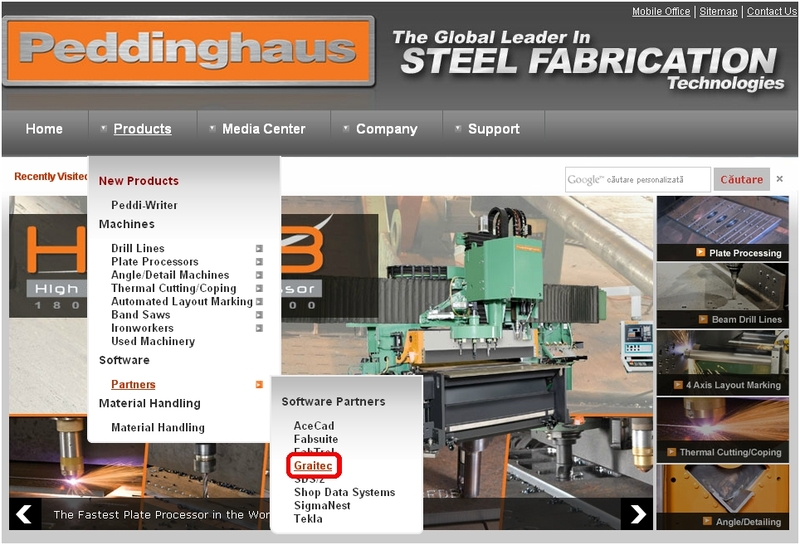 The Search filter is located on the Advance Steel Management Tools Palette, selection category. You can create queries based on the object type, Common properties, Number and object Partmarks along with naming, model role, Lot/Phase etc. You can then export the customized BOM in various formats and save it to the automatically created BOM folder of the structure. The demo utilizes a laser scanned – point cloud survey in Advance Steel 2015 / AutoCAD 2015 to create a highly accurate structural / mechanical 3D model and also the related automated parametric documentation. Quickly importing a complex 3D solid from a crane vendor by converting the 3D solid into a native Advance Steel ‘Special Part’. The mechanical Special Part works with Advance Steel Clash Check, documentation and BOM lists. The laser point cloud is parametrically XREFerenced into the Advance Steel general arrangement drawing to create a hybrid view. The complete drawing package is batch plotted in a couple of clicks. To see the full demo, please follow this link. As part of an ongoing project Graitec UK have been working hard to improve the drawing styles in Advance Steel to give better results in more situations. It is a fact that different users desire different things and would draw the same things in different ways. Therefore, some degree of compromise is always required when delivering a set of style for universal use. However, we believe we have now been able to produce a set of styles and related drawing processes that will give clearer drawings in the vast majority of cases meaning far less manual editing is required. Furthermore the process of creating the drawings can be streamlined. 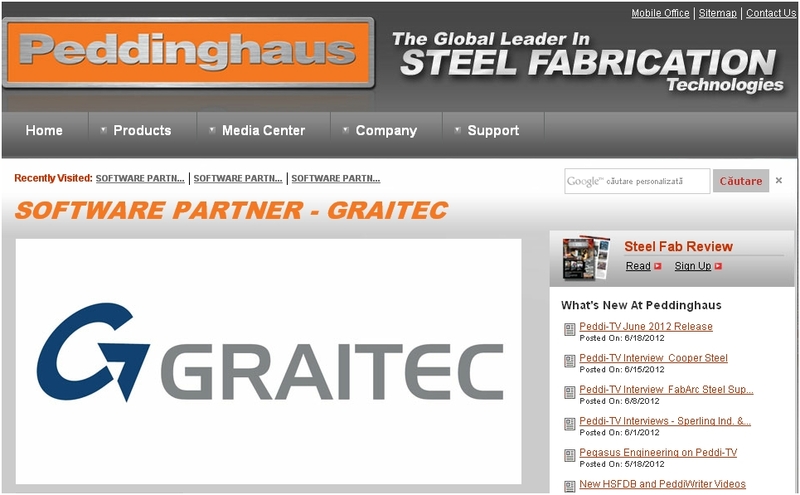 We are pleased to announce that GRAITEC (and Advance Steel) is a “Compatibility Partner” with FABSUITE. Founded in 2000, FABSUITE is a software development company headquartered in Williamsburg, Virginia, which offers solutions for every step of the fabrication process, from production and shipment, to purchasing, inventory control, and cost accounting. FABSUITE is a Steel Fabrication Management Software designed to interact and exchange data with partnering companies, such as GRAITEC. It includes a set of comprehensive features for estimating, BOM import and project management, production control, inventory control, purchasing and order entry. The partnership between the two companies and the compliancy between the two software solutions means that customers can now benefit from a complete package, in the true sense of the word, for steel detailing and also for steel fabrication. Users can now take advantage of cutting-edge products, which can increase productivity, enhances work efficiency and lower the total costs of production. In addition to this, like GRAITEC, FABSUITE also offers customizable features to meet customers’ needs at every stage of the fabrication process. The versatility of Advance Steel can help you realize projects out of the ordinary! 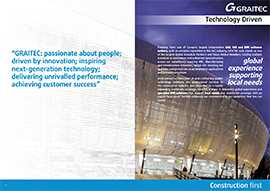 With Advance Steel, our users can create amazing projects. Our American users understand this and have created incredible structures with it. Tuckerman Steel Fabricators Inc. were able to harness the power of Advance Steel to create their latest project, something special that was launched on 11/11/2011 and captured on video. Check it out at Boston Tea Party Ships and Museum-Launching 11 11 2011! The project shown is a steel barge supporting a 3 story building consisting of shops, a museum, and restaurants, including ballast compartments, stair wells, elevator compartments, watertight doors, gangway support platforms and pile guides. The barge had to be pre-fabricated in panels – deck panels, bottom panels, bulkheads, side panels, and very often panels that included over 150 parts. Accordingly to Ilko Dimitrov, Project Manager at Tuckerman Steel Fabricators Inc., Advance Steel increased the productivity and the accuracy of the drawings: “The software was very helpful in detailing the panel drawings and all the interior framing and stairs as well”. Also, the designers of the barge noticed that Advance Steel is very well designed to optimize drawing layout by eliminating empty spaces between members, and has the option to create running dimensions from left to right and vice versa, and the option to switch between absolute and relative or both types of dimensions. The scaling of objects is very easy. Placing labels, part marks, material type and basically all necessary information is very handy. Creating and updating BOM is fast and accurate. Tuckerman Steel Fabricators, Inc. based in Boston, MA is incredibly proud of the results obtained with Advance Steel. The week after they were trained on Advance Steel they were able to model and detail the entire barge. They were able to meet their fabrication and shipping deadlines without any errors!